On October 29, 2018 the State Council of China announced its decision to rescind the 25 year old prohibition on the domestic use of tiger bone and rhinoceros horn. Rhinoceros and tigers are two iconic species which are listed in the Appendices to the Convention on International Trade in Endangered Species of Wild Fauna and Flora (CITES). In the case of tiger, all sub-species have been listed in Appendix I since 1987 and commercial trade has been prohibited as a consequence. Both rhinoceros and tiger are Class 1 protected species under Chinese national laws. In 1993, in an effort to more effectively implement the CITES listings, China imposed a ban on domestic trade and use of rhino horn and tiger bone. Regrettably, the domestic prohibition and related provisions have not yielded positive results in terms of recovery of wild rhinoceros and tigers. Despite some one-off, isolated successes, the trajectory for both species remains negative. Scientists cite numerous factors contributing to declines in the wild populations of these species. These can include habitat loss, habitat depredation, lack of prey, human-wildlife conflict, lack of positive incentive systems, and poaching. Despite all this scientific evidence, it has become increasingly fashionable among non-governmental organisations and some government agencies to promote poaching and illegal demand as the key causes for decline in rhinoceros and tigers. This has led to a strongly biased emphasis on demand reduction and law enforcement. China is strongly opposed to the current trend in international thinking which has drifted from eliminating illegal supply into closing all supply in an attempt to eradicate the demand for some wildlife products. There is no credible evidence to support the view that prohibition has ever, or will eventually, achieve the desired effect of eliminating demand and illegal trade. Demand-reduction campaigns advocated by many western non-government organizations and like-minded governments rely on changing behaviour patterns of consumers, rather than seeking to satisfy demand from legal and sustainable sources. Discussions on demand reduction to date have been characterised by a tendency to exclude both range and consumer States. Rather, these discussions appear to “cherry-pick” attitudes and policies that are opposed to the use of wildlife. It would be preferable and more productive if range and consumer States actively participated in discussions as equal partners to ensure a balance of viewpoints. Since 1993, China has invested significantly in administrative and enforcement measures that support the prohibition. It is clear, however, that despite the views and desire of some international organisations, the current emphasis on enforcement and demand reduction is not achieving the desired outcome. Under these circumstances, it would seem advisable to review the overall policy and approach to conserving rhinoceros and tigers to ensure policies are formulated on the basis of sound scientific evidence. Satisfying demand with legally and sustainably-sourced wildlife products is a far more pragmatic approach than attempting demand reduction through behavioural change. This approach is also likely to yield positive results sooner. Furthermore, this approach is fully consistent with CITES which provides mechanisms that enable demand for endangered species to be met by legal production systems. The technology exists to successfully breed large numbers of tigers and rhinoceros in captivity. 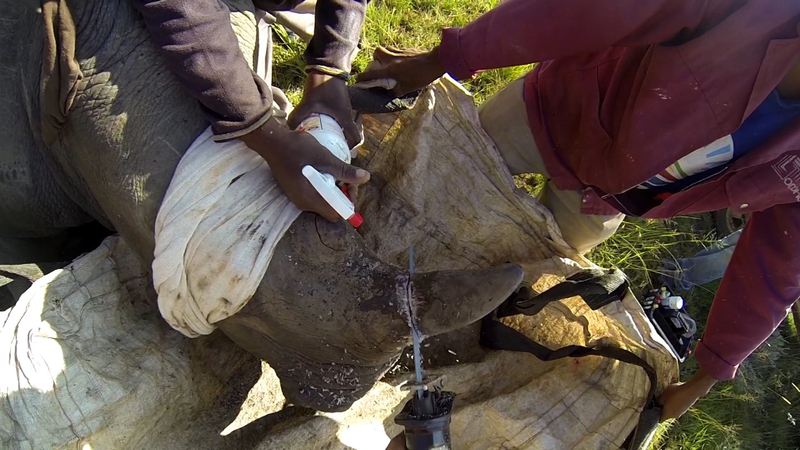 Rhinoceros horn can be harvested at regular intervals without the need to kill the animal. In this regard, there is no evidence to suggest that an individual suffers any discomfort or that its behaviour changes as a consequence. Natural mortality in captive populations of tigers can yield sufficient quantities of tiger bone to address demand domestically in China. A legal and sustainable supply of these two species will relieve poaching pressure on wild populations and allow for more efficient use of resources for enforcement and conservation. The fear of “laundering” is frequently cited as an objection by individuals and organisations that are philosophically opposed to trade in wild animals. Indeed, there is strong evidence to suggest that the risks of “laundering” can be managed effectively with appropriate monitoring and control systems that are supported by positive incentives along the supply chain. There is no scientifically credible evidence to support the claim that establishing a legal trade in a species has stimulated poaching and illegal trade in that species or elsewhere in other similar species. These claims, which are increasingly being stated by opponents to the use of wildlife, must be strongly refuted unless they are fully supported by independent scientific evidence. Instead of embracing captive production as a means of meeting demand, the global prohibition on trade in tigers and rhinoceros has had little effect other than devaluing these species. The prohibitions have stimulated on-going poaching and the establishment of criminal cartels as the principal beneficiaries of this illicit trade. Considering all the foregoing information, the Chinese Government has concluded that it is timely to implement a legal internal trade in tiger bone and rhinoceros horn as means of addressing demand for these products. The proposed domestic trade will enable greater efforts and resources to be devoted to ensure the long-term survival of these iconic species in the wild. The increasing trend of applying a Convention such as CITES, established to regulate international trade, to domestic production and use of Appendix I-listed species represents a violation of the legitimate rights of a sovereign country. It is also contrary to the intent and spirit of the Convention. The growing influence of non-governmental organisations has resulted in CITES straying from its mandate to the overall detriment of listed species. In its recent decision, China has taken a bold step to implement new policies designed to assist the long-term and sustainable conservation of rhinoceros and tigers in the wild. China’s revised policy will continue to support the prohibition of illegally imported and traded tigers and rhinoceros body parts. The proposed new policy will encourage continued conservation efforts for these species in the various range States in Asia and Africa. Illegal wildlife trade threatens not only the existence of the species, but also wildlife economies that create incentives for land owners and custodians who have wildlife on their land.